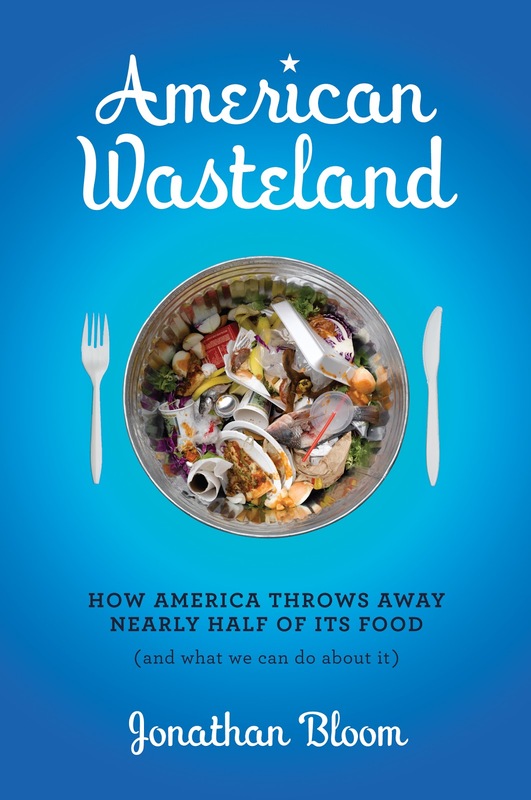 In 2012, the National Resources Defense Council Issue Paper Wasted: How America is Losing Up to 40 Percent of Its Food form Farm to Fork to Landfill authored by Dana Gunders launched awareness of the global food waste crisis. The paper revealed the rampant wasteful practices throughout the entire food system: from farms to distribution centers to grocery stores | purveyors to restaurants | foodservice operators to consumers. 1> prevent waste by reduced purchases, careful food preparation and monitoring food spoilage timelines. 2> gift excess food to individuals | organizations who ensure food is consumed. 3> collect food waste for compost, food for the soil's microbial community. Atlanta's food waste heroes were recognized in Elizabeth Royt's Spoil Alert, a feature article in Martha Stewart's Whole Living November 2012 issue. Elizabeth traveled to Atlanta for a whirlwind two-day interview marathon hosted by Elemental Impact (Ei) founder Holly Elmore. One of the featured food waste crusaders was Myron Smith of Second Helpings, who met Elizabeth at a local farmers market. Elizabeth refers to Myron as "the palest and gentlest vulture you've ever seen. Smith has his eye on bunches of collards and zucchini that might not sell by the market's closing, in 15 minutes." The ZWA Blog post, Atlanta Wasted Food Heroes in National Spotlight, is an overview of the Spoil Alert article along with commentary applauding Atlanta's heroes. Ei, a national non-profit with Atlanta home offices, received national accolades with the 2009 Zero Waste Zones (ZWZ) launch including a prime-time aired CNN story and a front-page New York Times article. One of the ZWZ program criteria was food waste must first be donated in accordance with the Good Samaritan Food Donation Act. Food not meeting donation standards must be collected for compost. The Ei ZWZ program was the national forerunner for the commercial collection of food waste for compost. In 2012 the ZWZ program was sold to the National Restaurant Association with plans for national expansion. The ZWZ program epitomized successful completion of the above phrase. 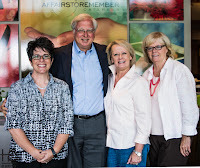 On June 15, 2015, Les Dames d’Escoffier International, Atlanta Chapter (LEDI | ATL) accepted the invitation to serve as the Sustainable Food Court Initiative (SFCI) - Event Pilot and joined the ranks of Atlanta Food Waste Heroes. Though the Pilot is for the organization as a whole, the first two action points are to craft zero food waste practices for two of their premier events: Afternoon in the Country (AITC) and Culinary Futures. LDEI is a worldwide society of women dedicated to creating a culture in the community that fosters excellence and promotes the achievement of women in culinary professions through educational and charitable activities. 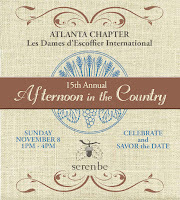 The LDEI | ATL membership boasts nearly 100 prominent women in career paths ranging from professional chefs, restaurateurs, caterers, farmers, food retailers, event planners, cookbook authors, food journalists and historians, winemakers and wine industry professionals, food publicists, and culinary educators to hospitality executives. Known as one of Atlanta’s most unforgettable food and wine tasting events, AITC is a fund-raiser for local non-profits and scholarships for women in the culinary profession. The November 8, 2015 AITC is the 15th Anniversary event, perfect timing to embark on formal zero food waste practices. 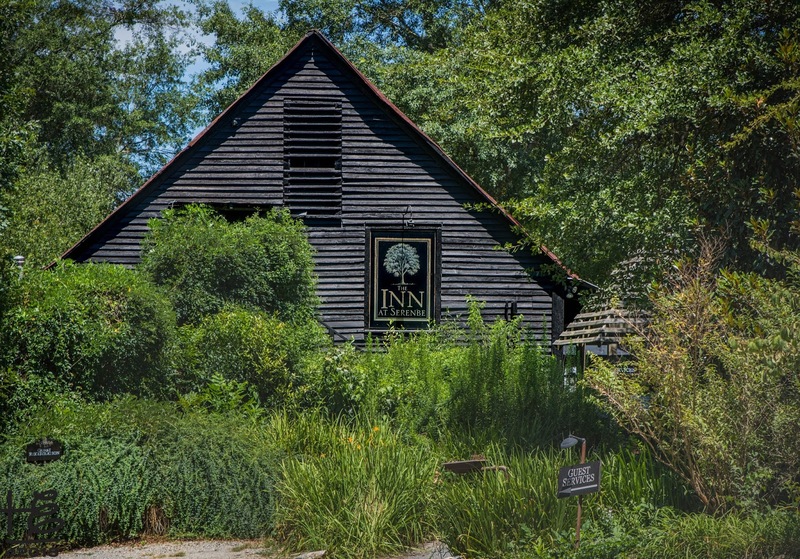 Hosted by the Inn at Serenbe within the Serenbe Community, the AITC is held in an idyllic setting where nature, passion, creativity and community are valued. With over 1800 guests tasting delicious food samples served by nearly 40 prominent restaurants, hotels and caterers, there is a significant amount of food waste generated at the event. In the past, food waste was landfill-destined. The ZWA Blog article, Afternoon in the Country embarks on zero food waste journey, announces the SFCI Pilot status and establishes the action plan categories: Food & Beverage (F&B) Serviceware, Food Waste Collection, and Food Waste Destination. Within the article intro is the SFCI background and challenges inherent within post-consumer food waste collection in food courts | events. Compostable packaging – all single-use F&B serviceware must be BPI Certified compostable; an exception is pre-packaged beverages in recyclable containers, such as bottled water. Education – event foodservice providers must be educated on the WHY, WHAT & HOW to serve F&B in compostable packaging; includes support with purchasing unique serving items. On-site Monitoring – volunteers visit foodservice operators upon arrival at event to observe any F&B serving or other items provided by the establishment that may contaminate the food waste stream. Ei Partner Eco-Products is an AITC Sponsor providing BPI Certified plates & cutlery; beverage service is in AITC wine glasses & sponsored water in recyclable bottles. AITC will require the local brewery to use BPI Certified beer cups. Ei Partner NaturBag is an AITC Sponsor providing BPI Certified compostable bags for food waste collection for compost. 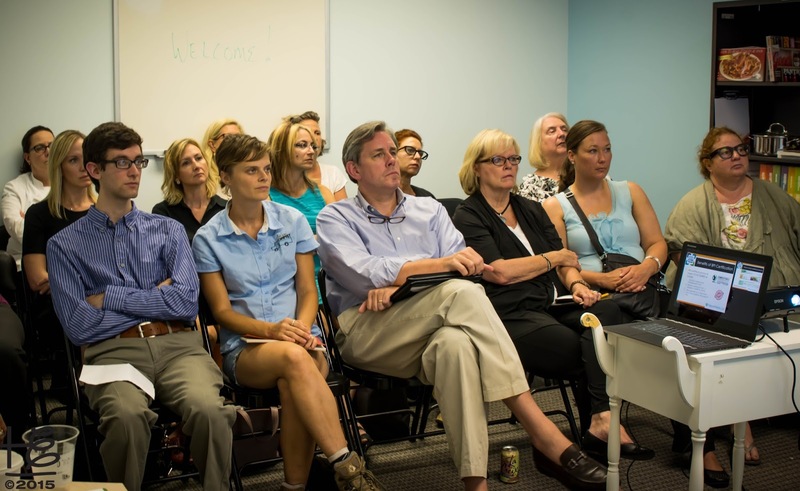 On August 20, the SMAT hosted a two-hour Compostable F&B Packaging Education Session for the AITC Sustainability Task Force; the session was a modification of the April Georgia World Congress Center-requested education seminar for Levy Restaurants. The ZWA Blog article, Compostable F&B Packaging: integral to zero waste programs and soil rebuilding, gives an in-depth overview of the session. Event Producer ideaLand will educate F&B providers on the new packaging protocol prior to AITC: LDEI will follow-up with their endorsement of | enthusiasm for the zero food waste journey including exclusive use of compostable packaging. The SMAT Team, supported by the AITC Sustainability Task Force, will greet foodservice and beverage operators upon arrival to ensure the compostable packaging protocol is followed. Waste | recycling bins – for the first year a three-tier bin is used: 1> Food Waste, 2> Recycling, 3> Landfill; at future events the system evolves into a two-tier system: 1> Food Waste, 2> Recycling. Clear signage – the bins must be supported by clear signage designating proper disposal; visuals are most helpful. Monitor attendee disposal – volunteers assist attendees with disposal of items into proper bins to prevent contamination. AITC Sponsor Figi Water provides 20 recycling bins for their plastic bottles as well as any other plastic or aluminum bottles; Another sponsor is considering a food waste collection bin sponsorship. Discussions are in-progress with Ei Partner Glasdon USA to potentially provide the food waste bins. The 2015 fallback plan is to use the recyclable | compostable cardboard bins if an immediate reusable solution is not feasible. Once the bins are determined, ideaLand will craft appropriate signage with guidance from the SMAT members. ideaLand is in discussions with Georgia Organics to provide "Waste Ambassadors" who assist event attendees sort their waste into the designated bins and prevent contamination. The Georgia Organic volunteers will also aid in the contamination cleansing prior to mixing the food waste compost recipe. Donation – ensure a plan is in-place for donation of leftover food in accordance with the Good Samaritan Food Donation Act. Compost – deliver remaining food waste, back & front-of-the-house, to a composting site operating within state food waste permit regulations. Animal feed – when compostable packaging is mixed with food waste it is not fit for animal consumption; food waste generated under the same roof as meat is often not permitted for animal feed pursuant to respective State Department of Agriculture regulations due to past disease outbreaks. Discussions are underway with Second Helpings to provide a turnkey donation program, including attendee education, for unserved food as the event closes. obtained a Letter of Interpretation from the Georgia Environmental Protection Division stating the AITC food waste falls into Category I of the permit regulations; thus, a formal permit is not required within the regulations. 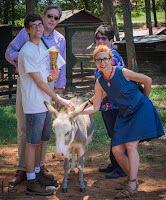 visited Serenbe with Ei Supporter Boyd Leake of Community Environmental Management (CEM) to assess the current Serenbe composting practices and the feasibility of on-farm composting. contracted with Ei Supporter Let Us Compost (LUC) to oversee preparation of the food waste compost recipe, including contamination cleansing. LUC will bring a dump truck filled with wood chips to use if necessary in the compost recipe. 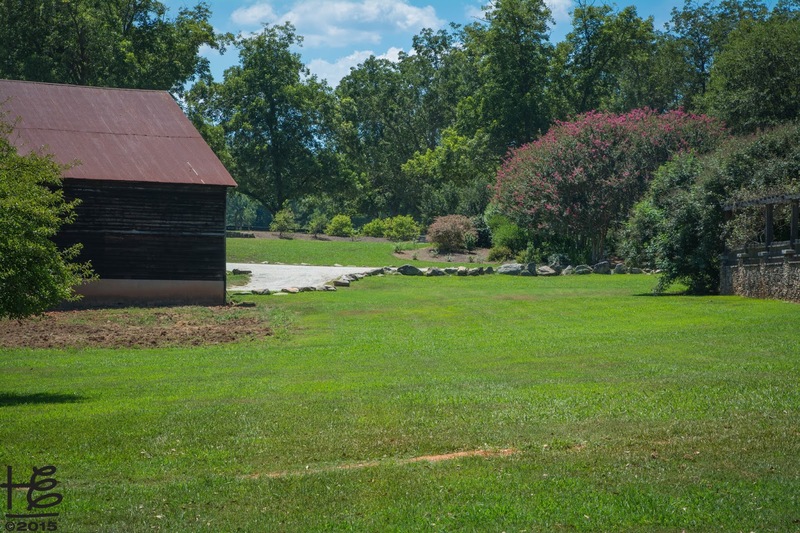 FALLBACK - if for an unforeseen reason on-farm compost does not work, LUC will haul the food waste to the Athens-Clarke County permitted food waste compost site. Animal feed is not an option for the AITC food waste. Going back to basics, AITC is focused on REDUCING food waste generated at their prominent event. ideaLand is committed to finding the balance between "running out of food" and minimizing leftover food. Reminders to adhere to the 2 ounce portion size are set to send to participating chefs a few weeks prior to the event. Post-event Ei, CEM and LUC will visit Serenbe to ensure the compost recipe produced excellent nutrition for the farm's soil. In addition, Ei will work with Serenbe on food waste for compost practices for their many smaller catered events throughout the year. LUC is available for food waste compost consulting on an as requested basis. The key ZWZ phrase, Collaboration is Key to Success, remains true with the AITC zero food waste journey. SMAT members share their Industry zero food waste expertise gained working with closed event venues, such as Safeco Field in Seattle and the Rose Quarter in Portland, and modify as appropriate for an annual event. As with the ZWZ, the U.S Environmental Protection Agency Region 4, joins the support team to share their experiences and assist with development of a replicable template for annual events | festivals. In addition, the City of Atlanta Office of Sustainability supports the pilot and is eager to understand implications for Atlanta events. LUC is crafting a turnkey food waste collection for compost program targeted for events | festivals in the Atlanta metro area. Since F&B packaging is necessary to create a clean food waste stream, Ei will develop a Compostable F&B Information Packet for event | festival producers to share with their food providers. It takes pioneers like LDEI to dive deep and change standard industry operating practices. Often the solutions are simple yet perseverance and tenacity are required for the "trial and error" necessary to discover the easiest, most effective solutions. The biggest challenge is CHANGE! ... and change implemented at an annual event, during "showtime." 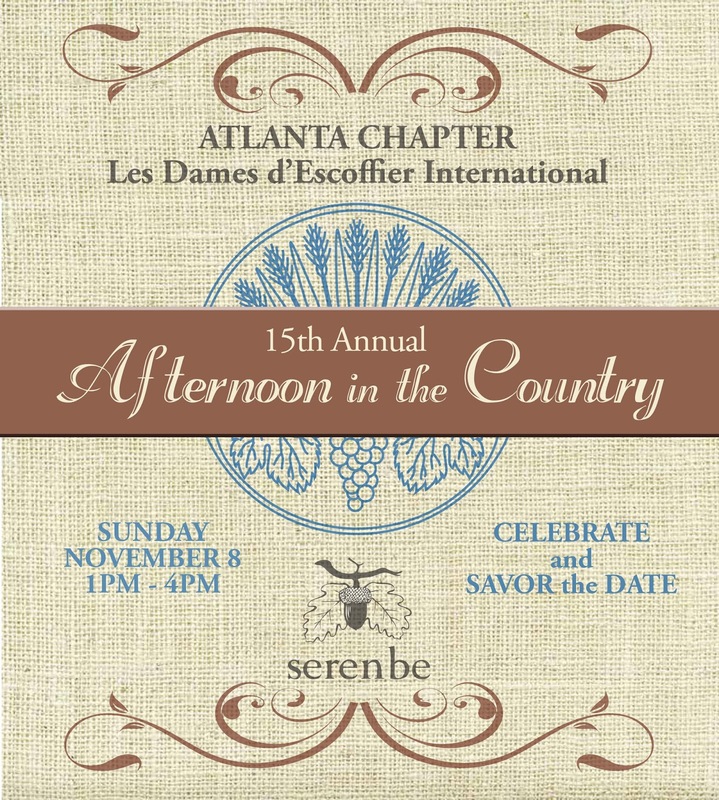 Thank you Les Dames d’Escoffier International, Atlanta Chapter and ideaLand for joining Atlanta's Waste Food Heroes as the food waste journey continues into next dimensions. 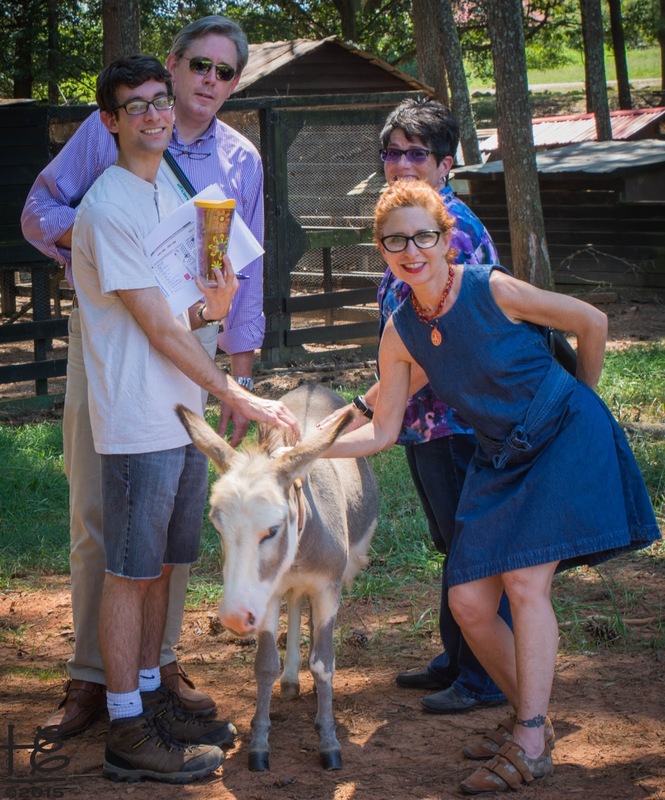 Your contributions are tremendous with far-reaching impact well beyond Atlanta.